Tastefully Decorated. Heritage Style. Modern Conveniences. Boasting floor plans unique as you are. Vintage style in a cozy traditional room. 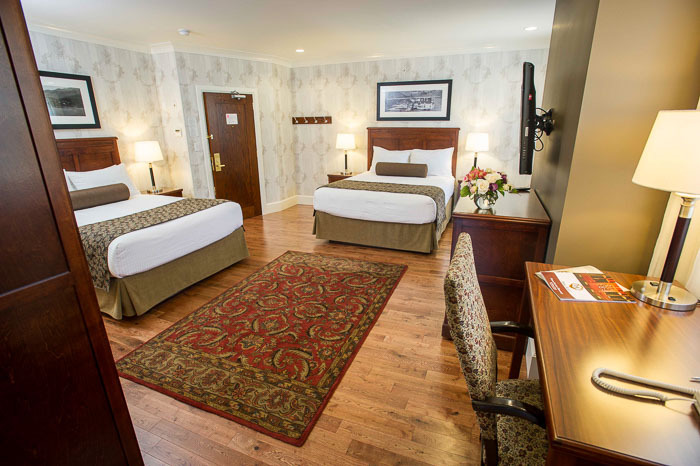 Our Guest Rooms have all been recently renovated. We have incorporated new technology and modern amenities while maintaining the heritage charm that the Hume Hotel is known for. 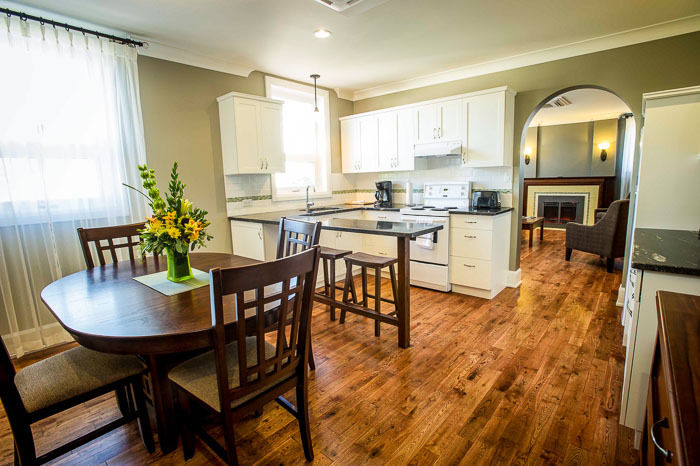 All rooms feature air conditioning and heat control, granite counter tops, flat screen TVs, a fridge, an iron and an ironing board. Did we mention a made-to-order complimentary breakfast is included? All artwork was graciously provided by our neighbor, Touchstones Museum & Art Gallery. Each floor has its own photo theme depicting local people and places from the turn-of-the-century, each with a unique story to tell. 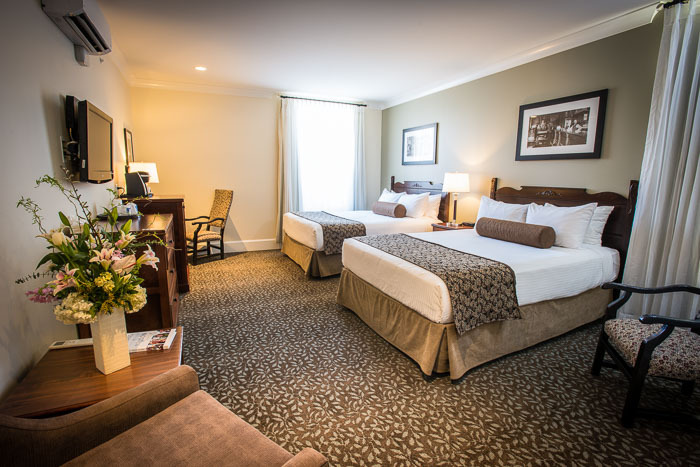 Let our friendly Front Desk crew help you choose the best room for your needs.